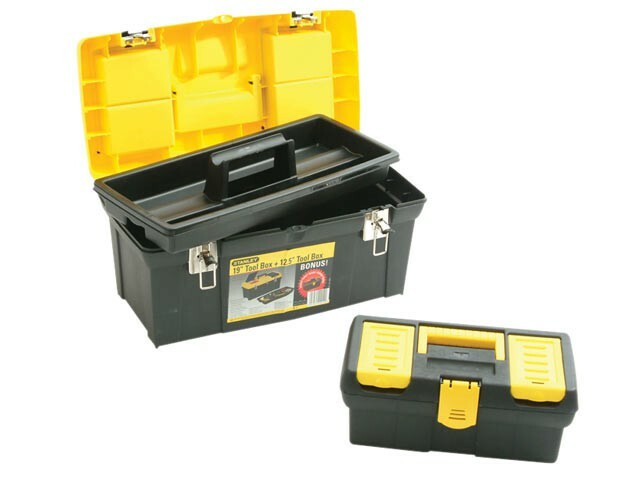 This Stanley 19 inch tool box has two handy organisers in the lid as well as an internal tote tray for excellent organisation. The box has durable metal latches to hold the box securely closed, and a soft-grip handle for a secure, comfortable grip. Supplied with a 30cm (12 inch) tool box.